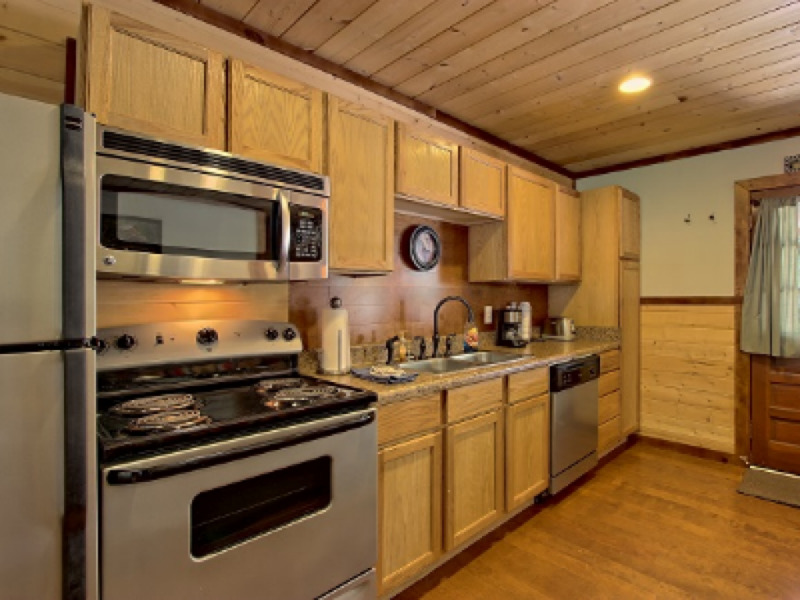 The Eagle is our largest accommodation, featuring five bedrooms and three full baths, full kitchen, washer and dryer in unit, wood burning fireplace and large screen TV in living room, dining area, private fenced yard area, large covered grill, outdoor picnic table, and expansive mountain views. 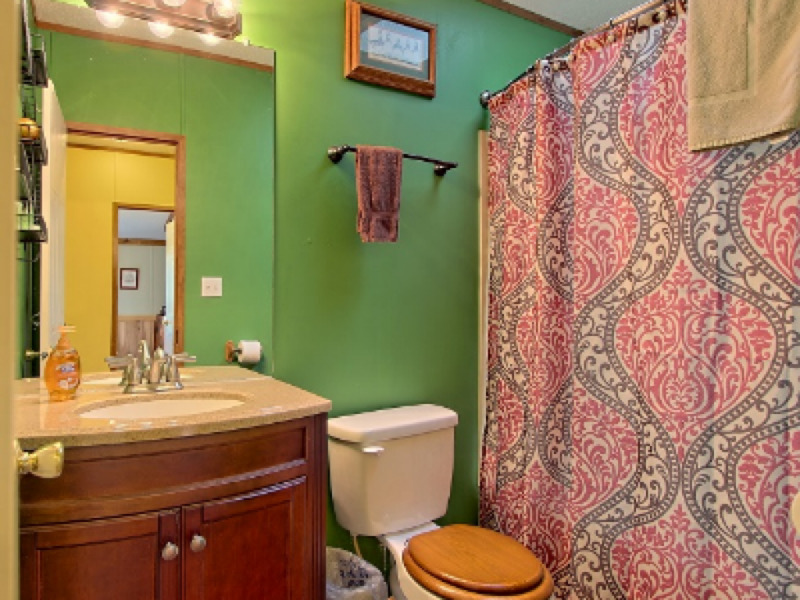 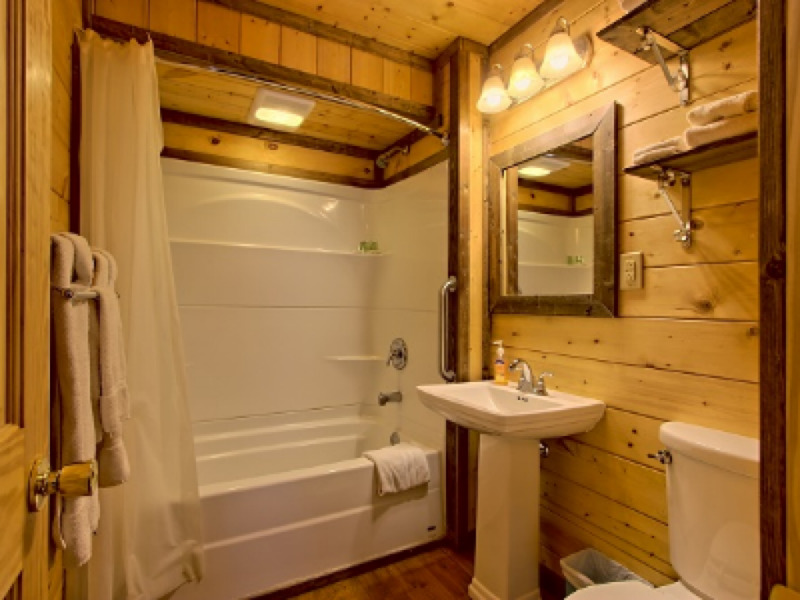 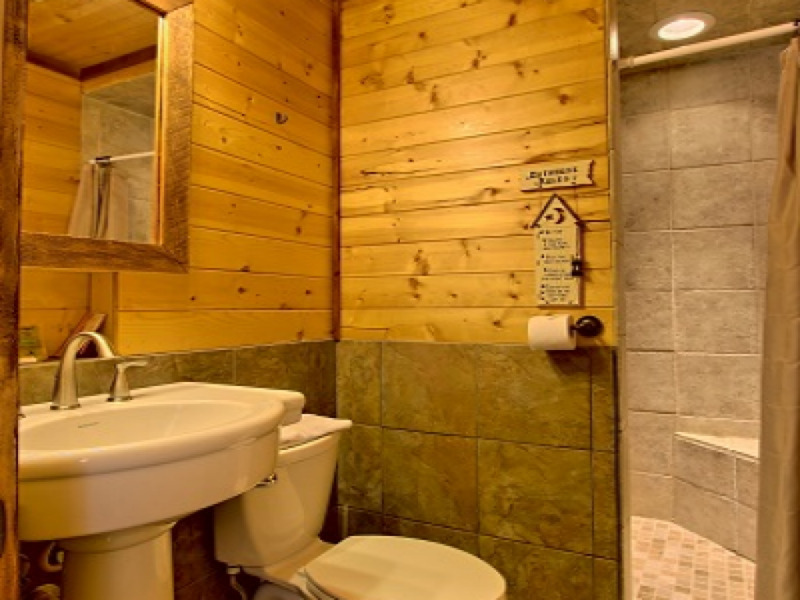 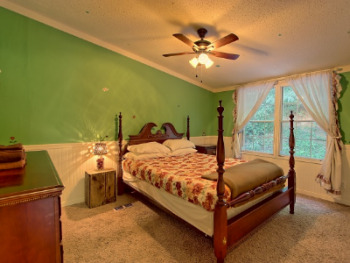 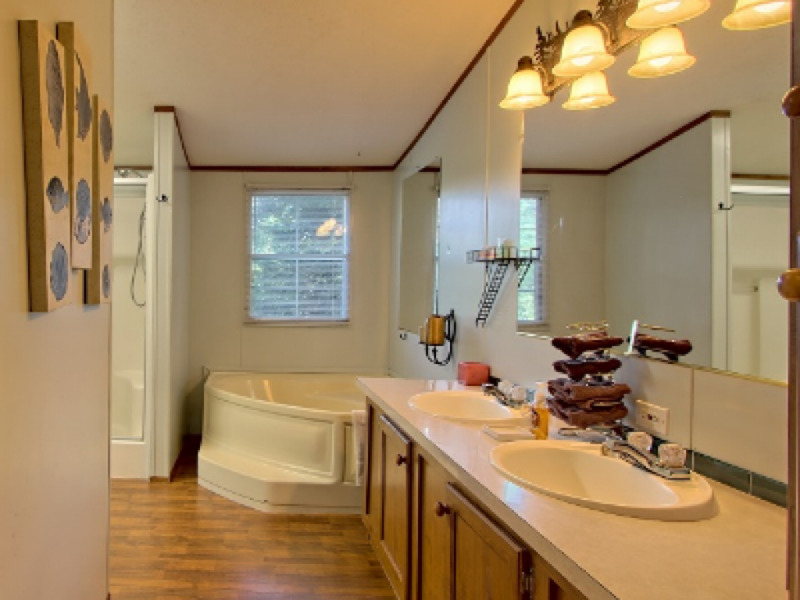 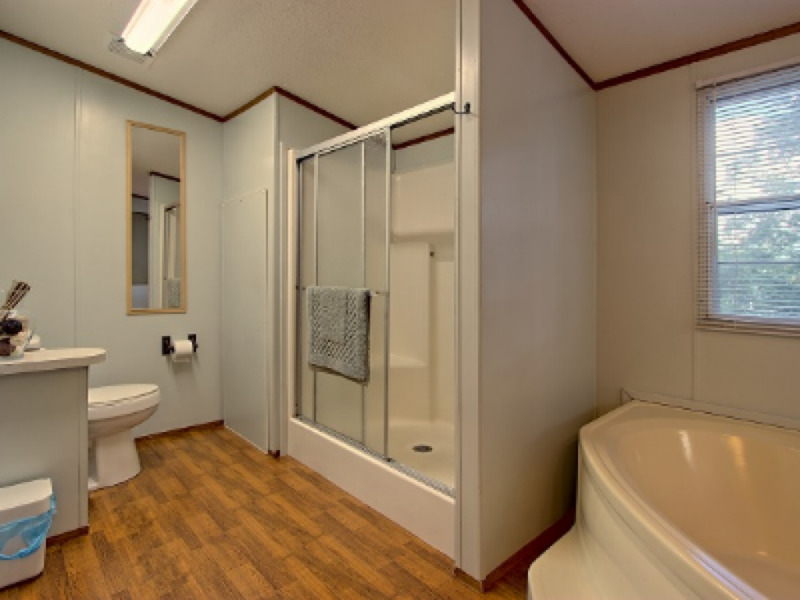 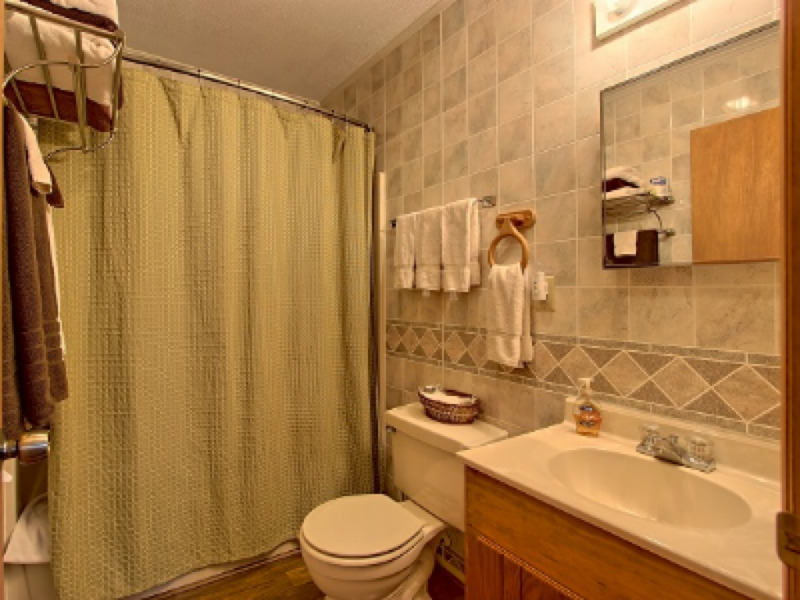 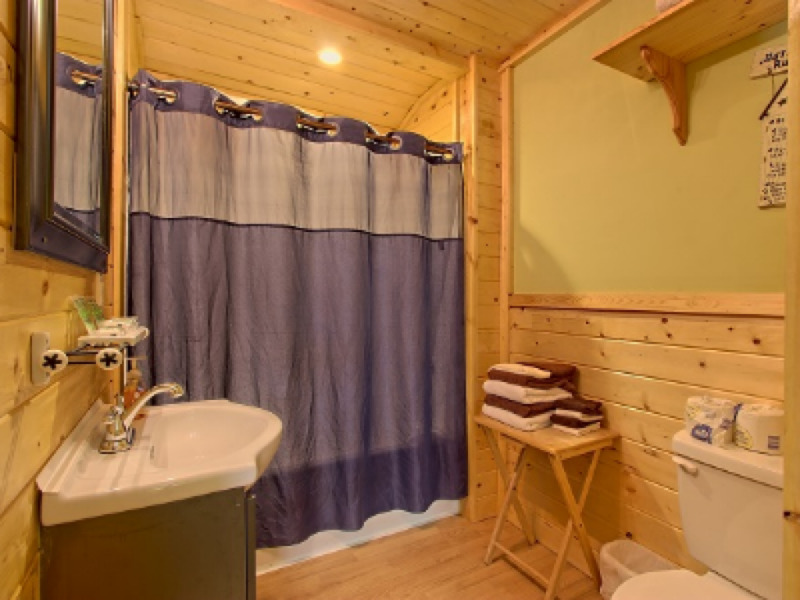 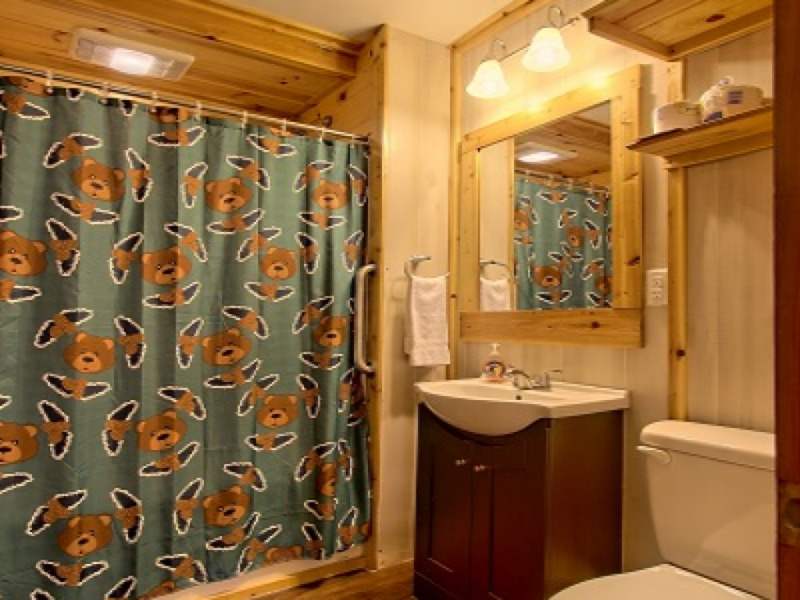 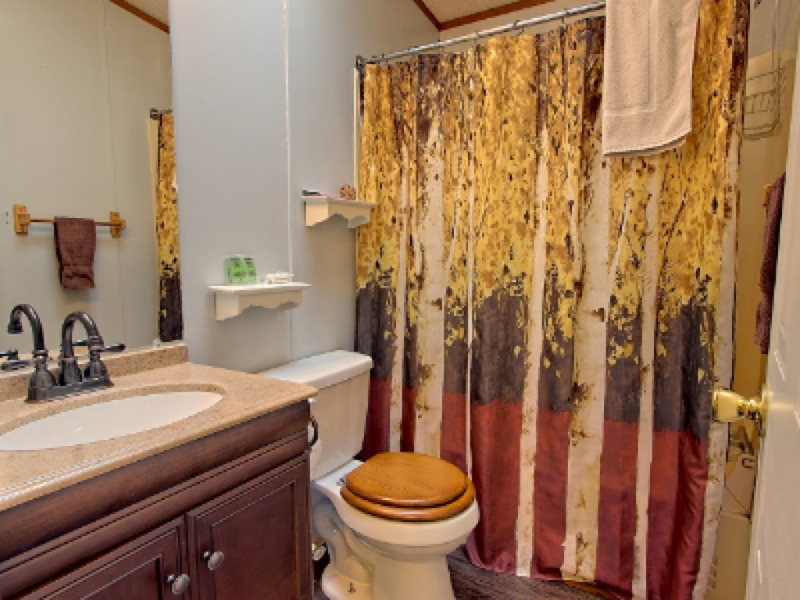 The Elk has a King Suite with en-suite bathroom with a large soaking tub and seperate shower. 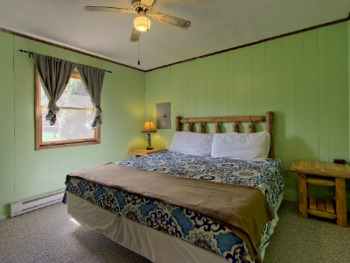 Three rooms feature queen size beds and one room has a full size futon. 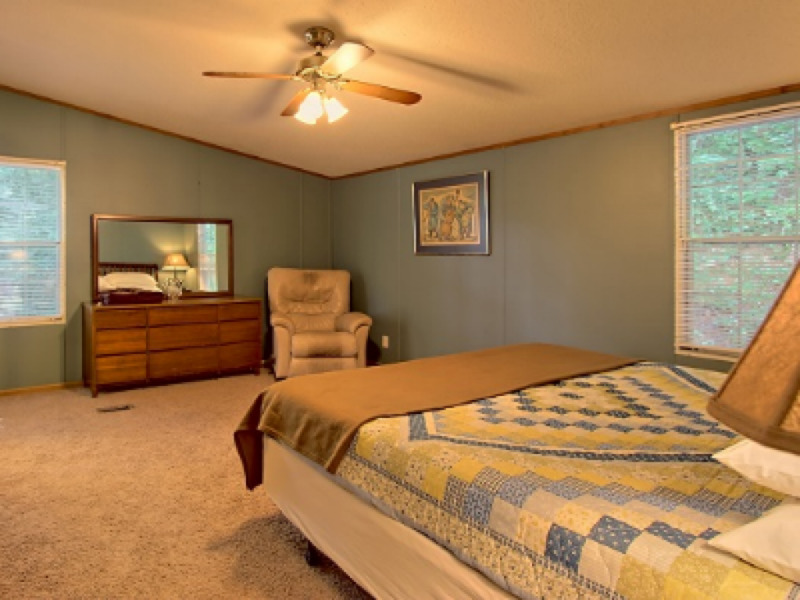 There is also a Queen size futon in a common area. 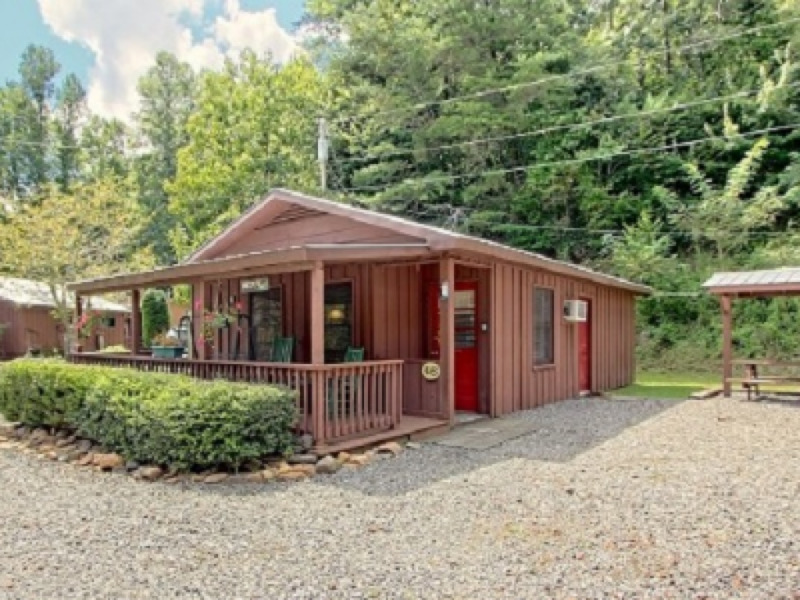 Located between Cherokee, Bryson City, Sylva and Dillsboro. 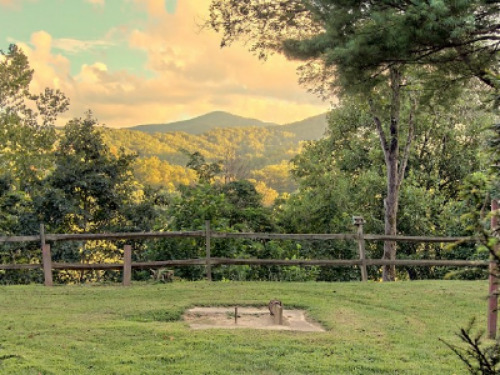 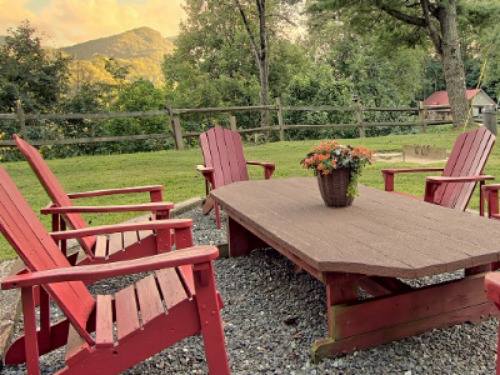 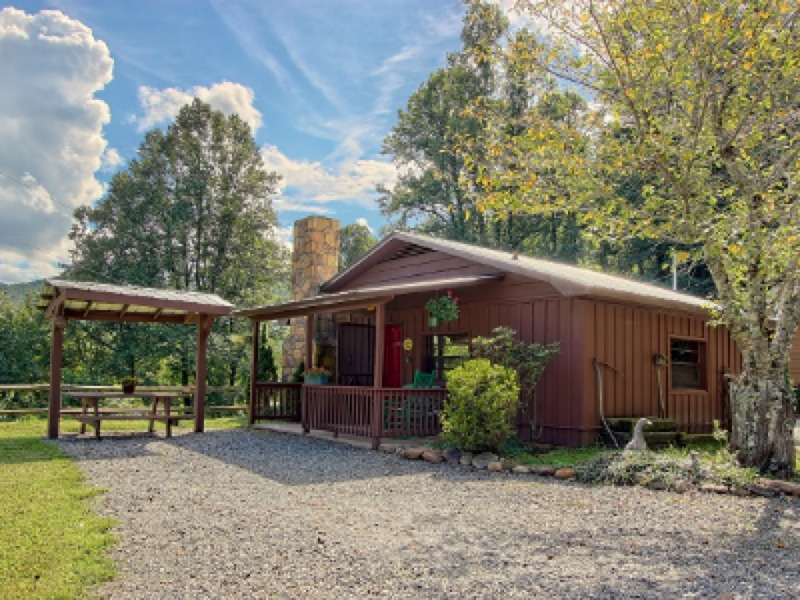 Sunset Farm Cabins is a perfect destination for all your Western North Carolina sightseeing and adventure. 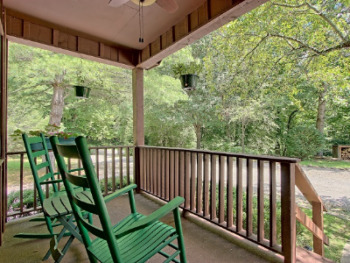 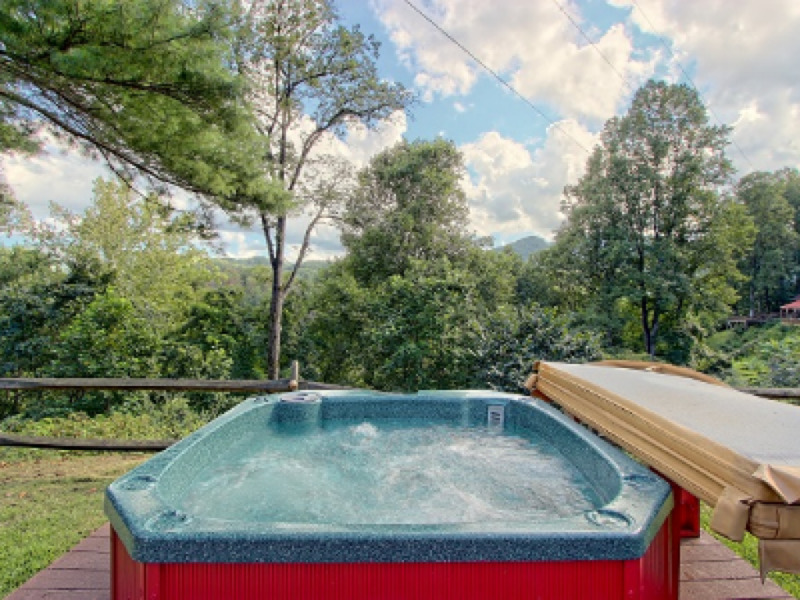 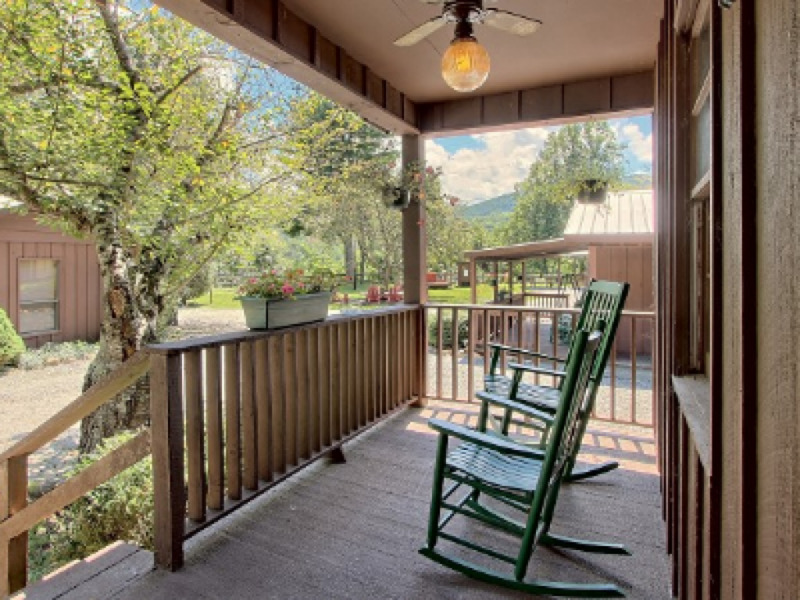 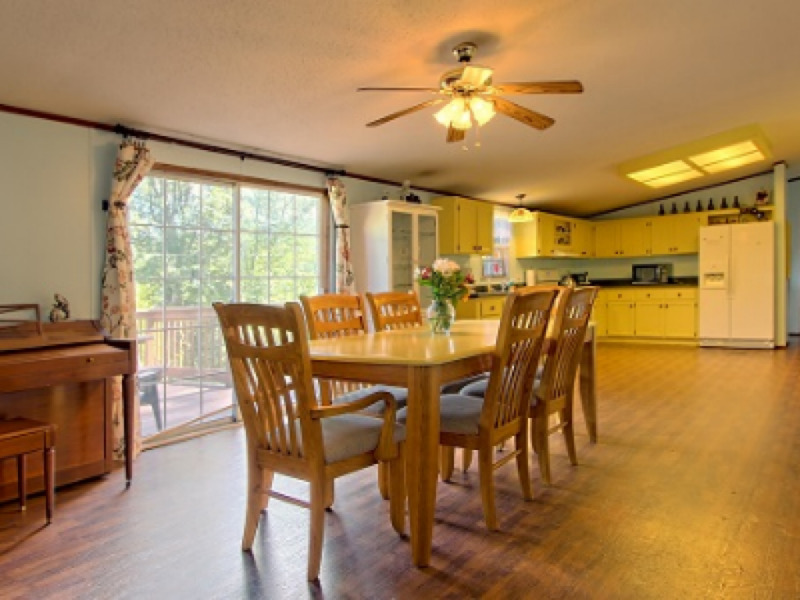 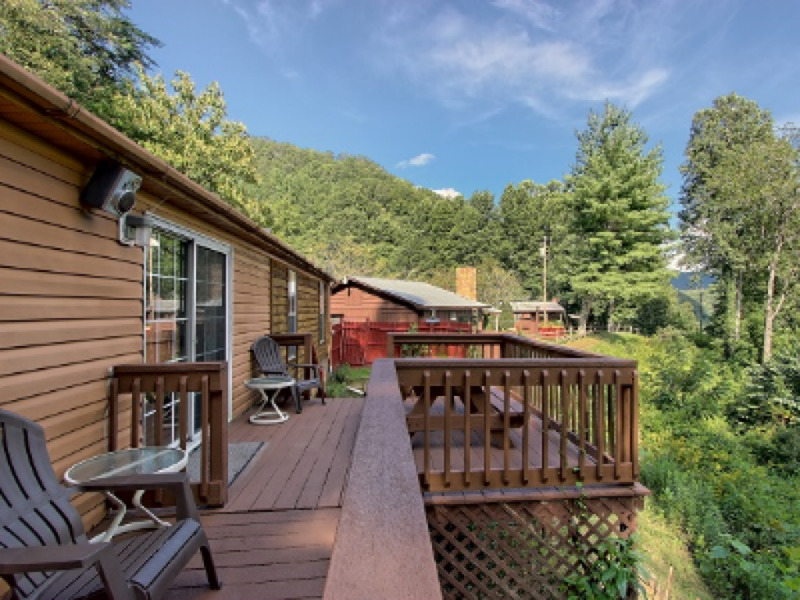 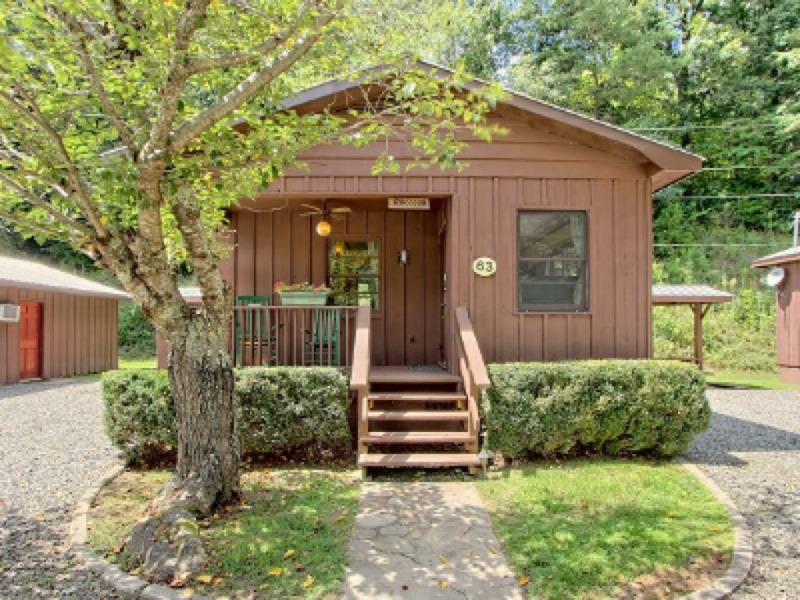 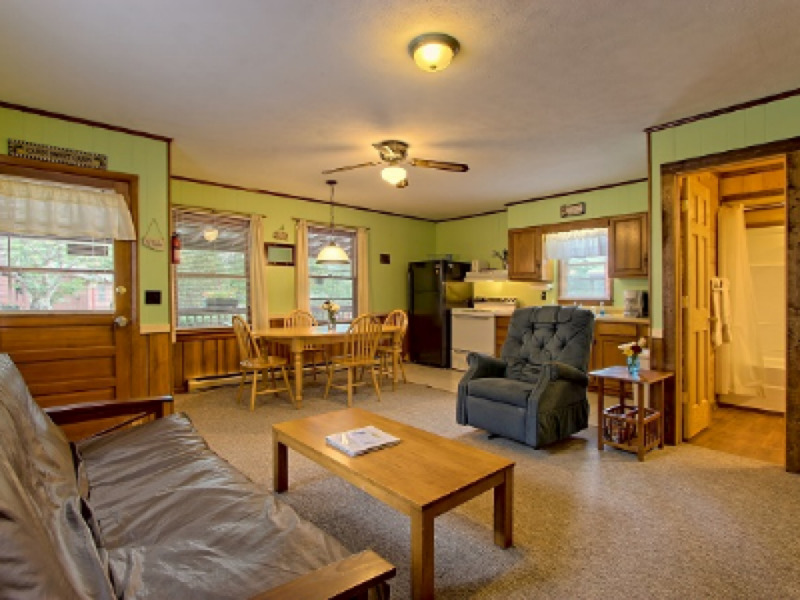 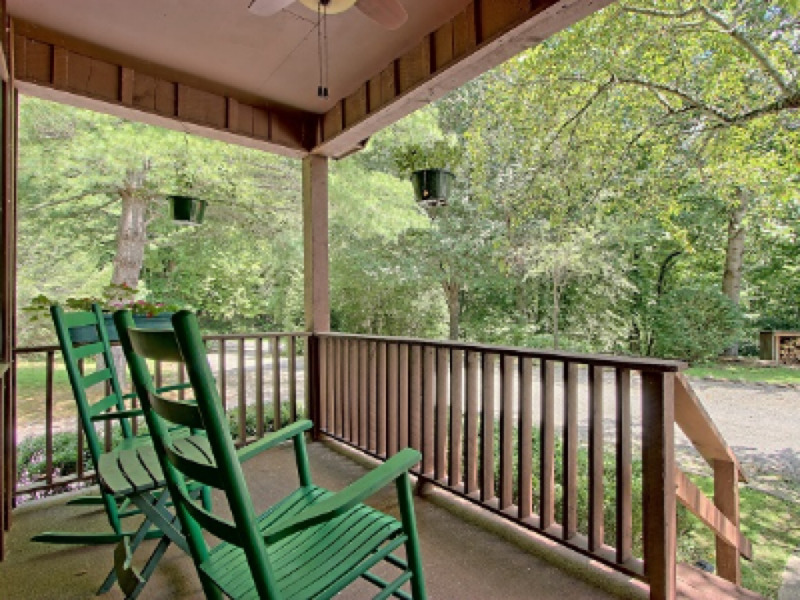 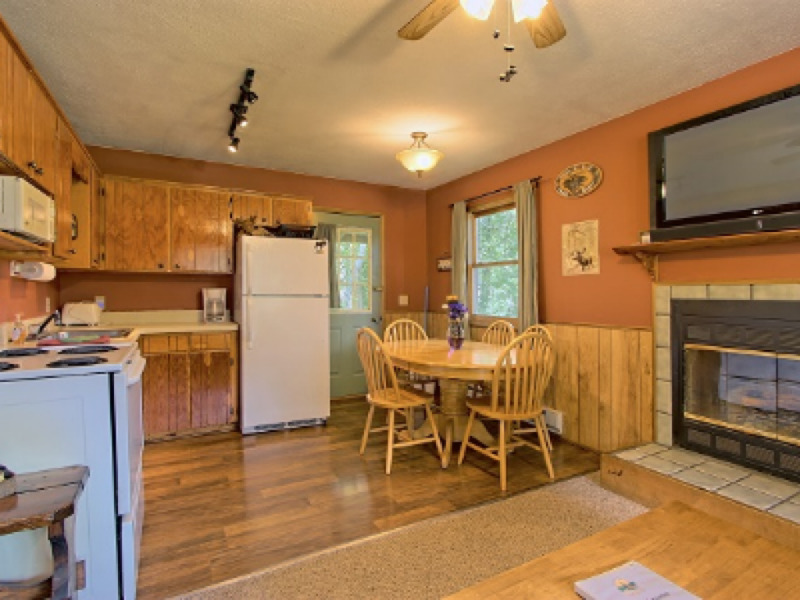 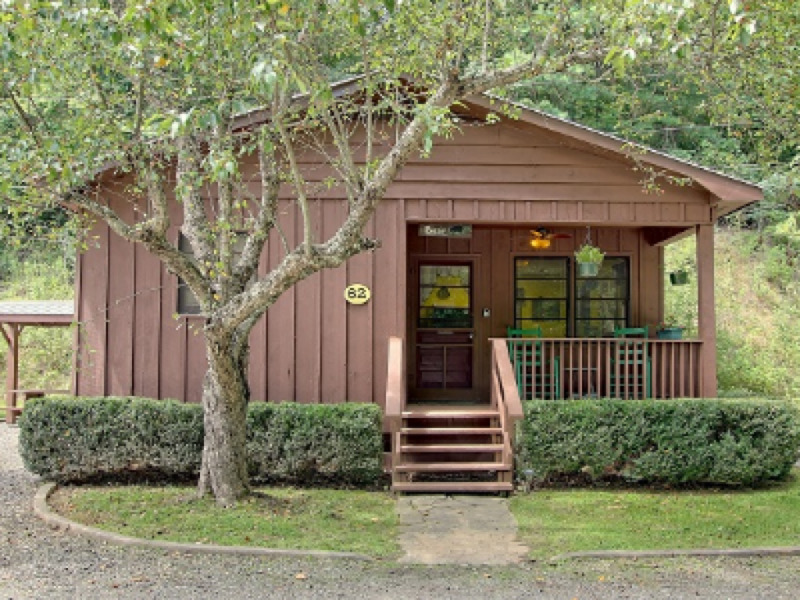 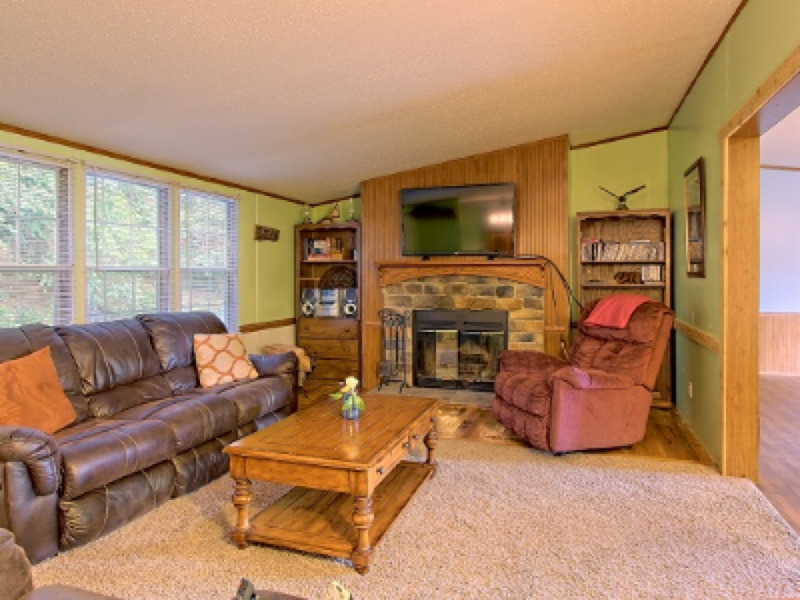 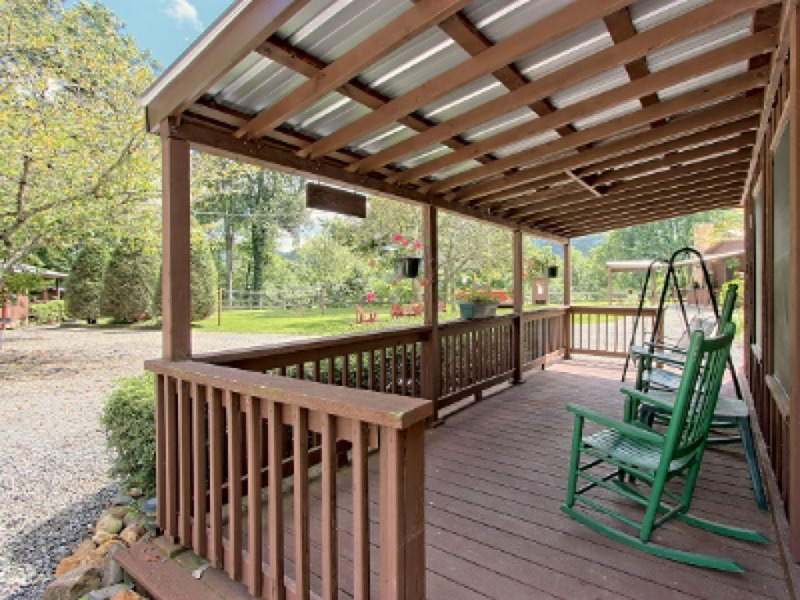 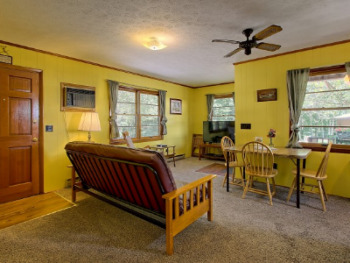 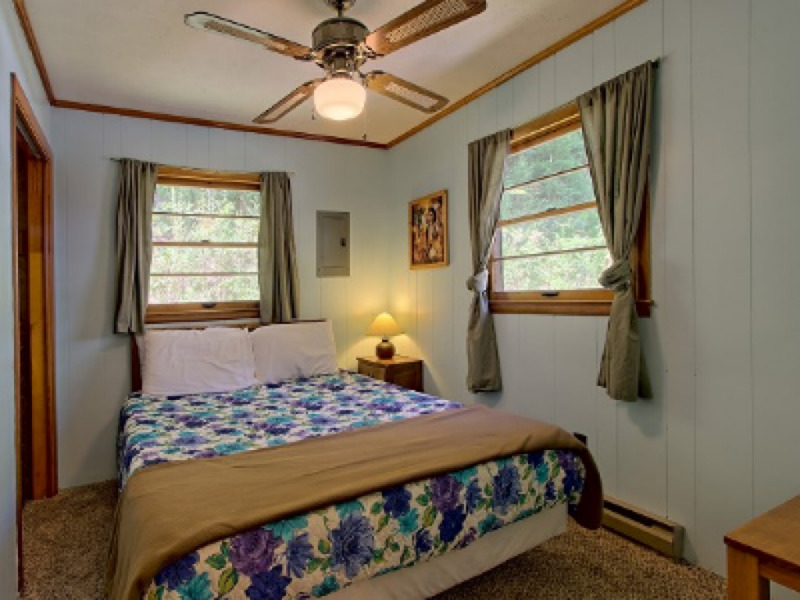 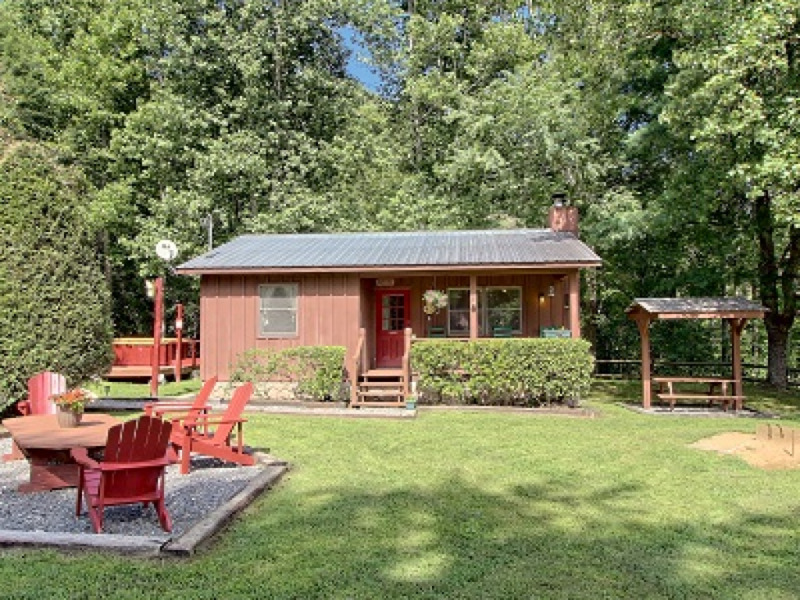 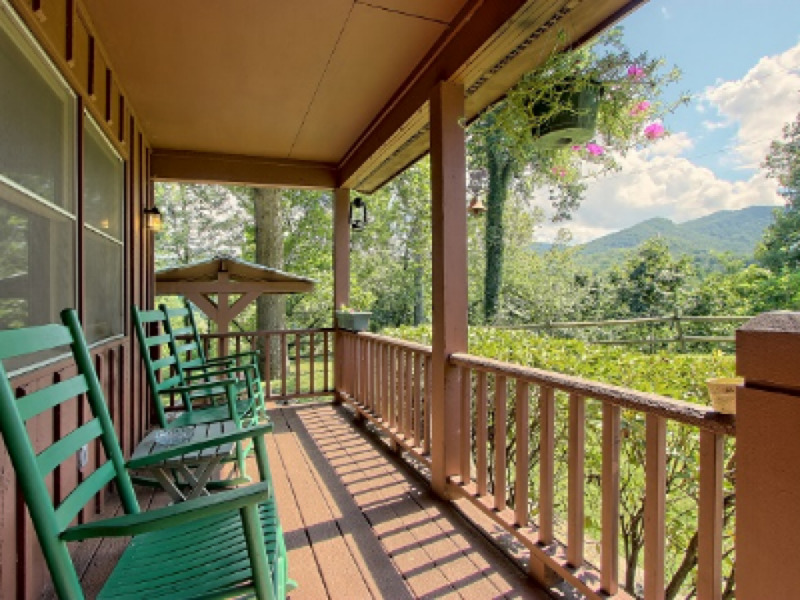 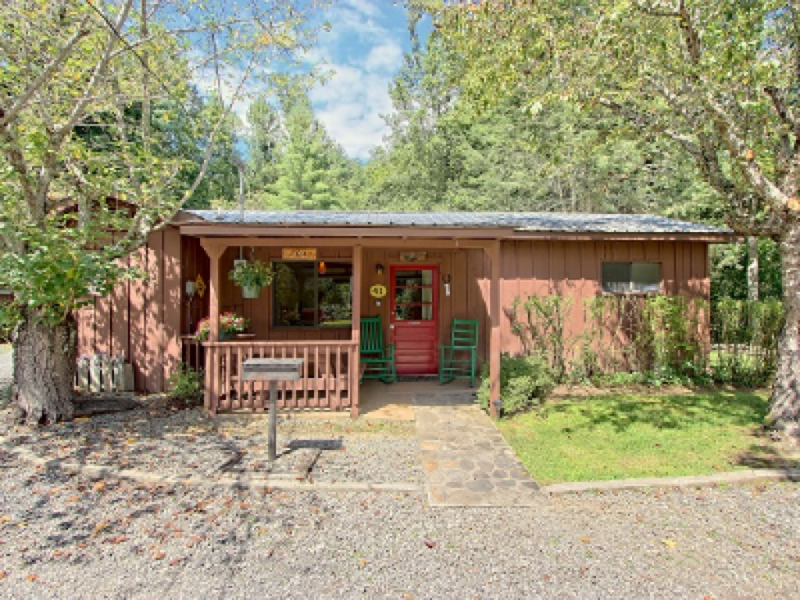 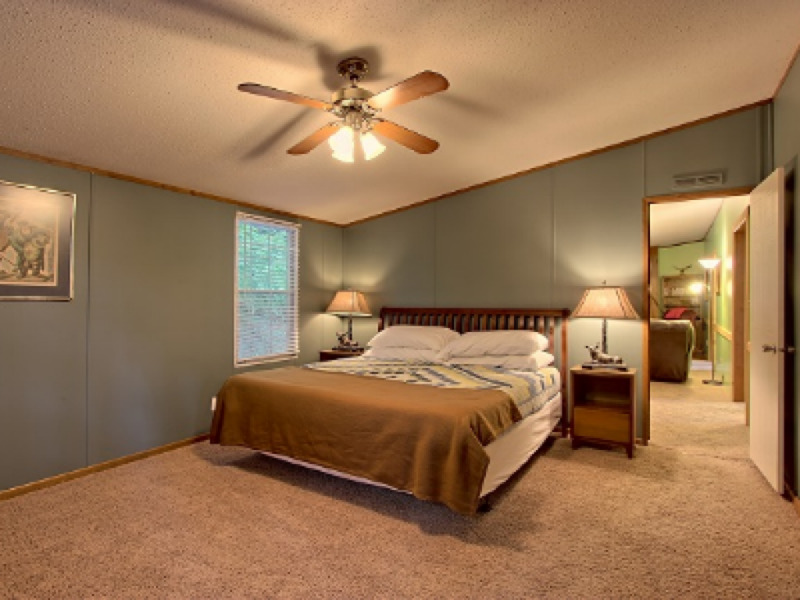 Clean 1, 2, and 5 bedroom cabins located on 5.5 acres in the mountains with prestinely manicured surroundings. 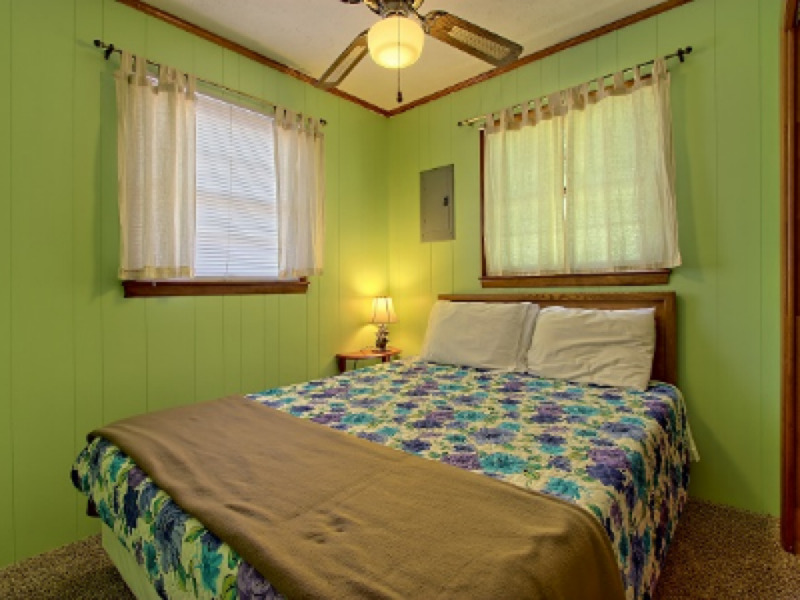 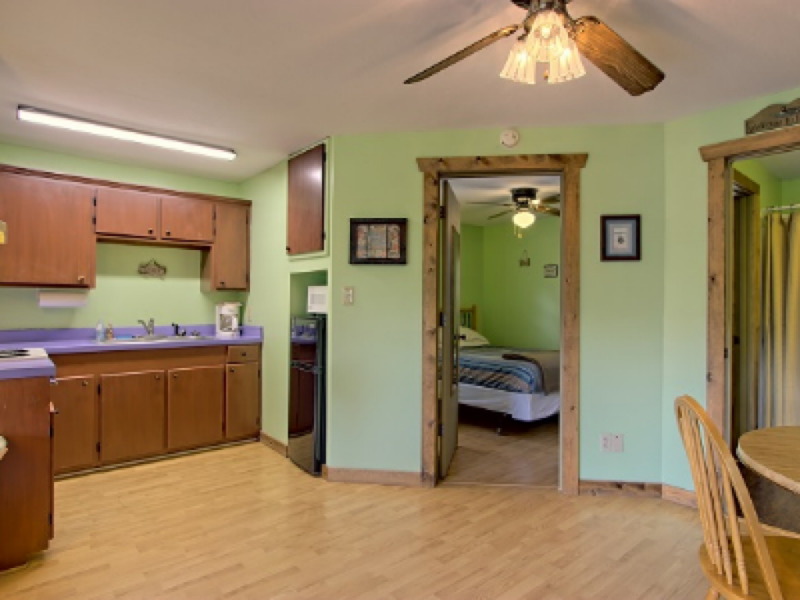 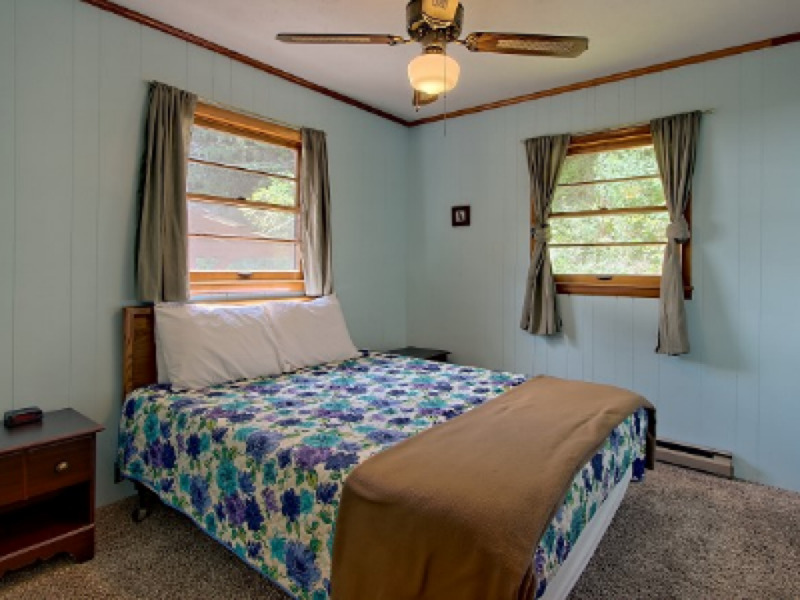 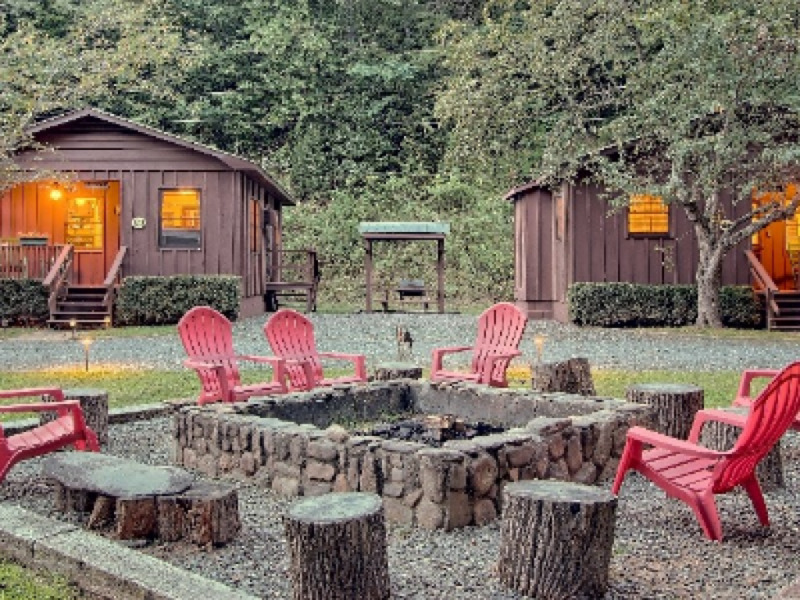 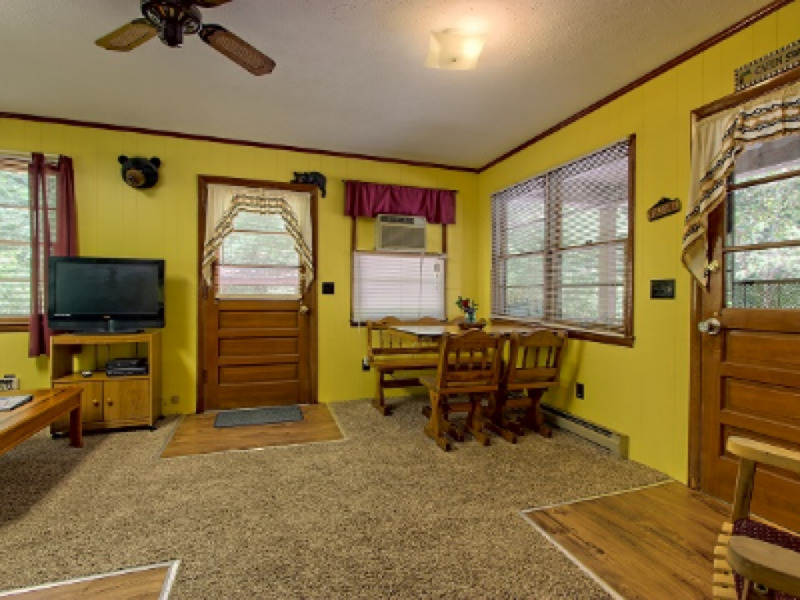 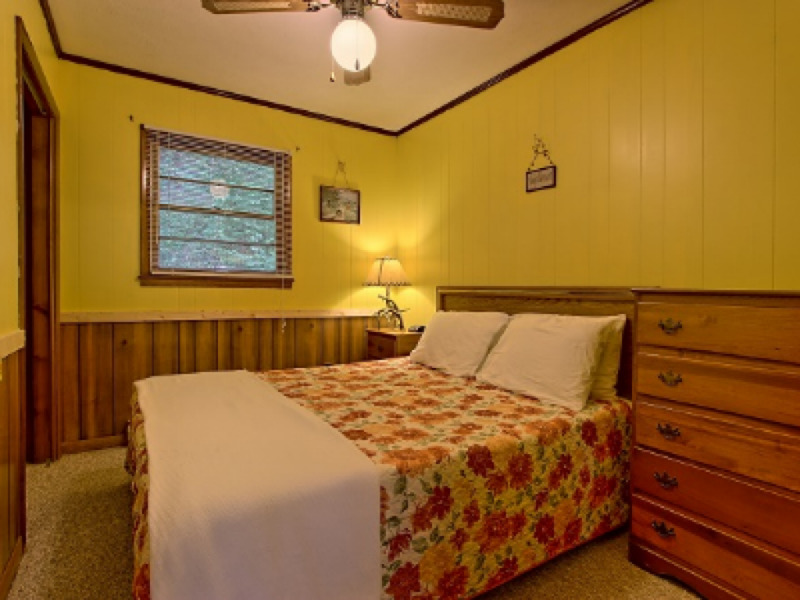 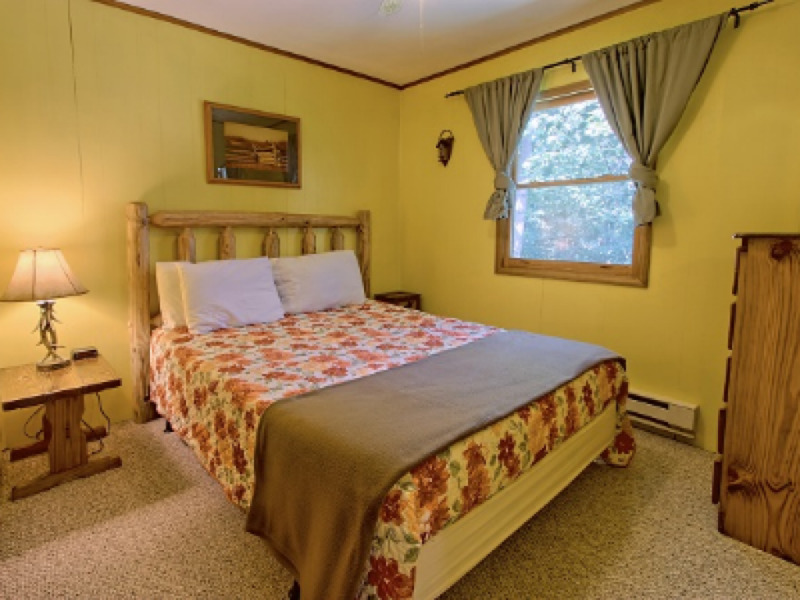 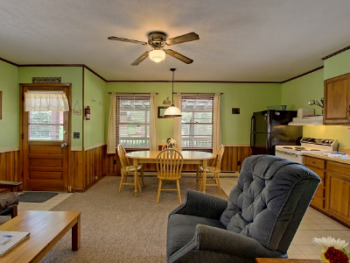 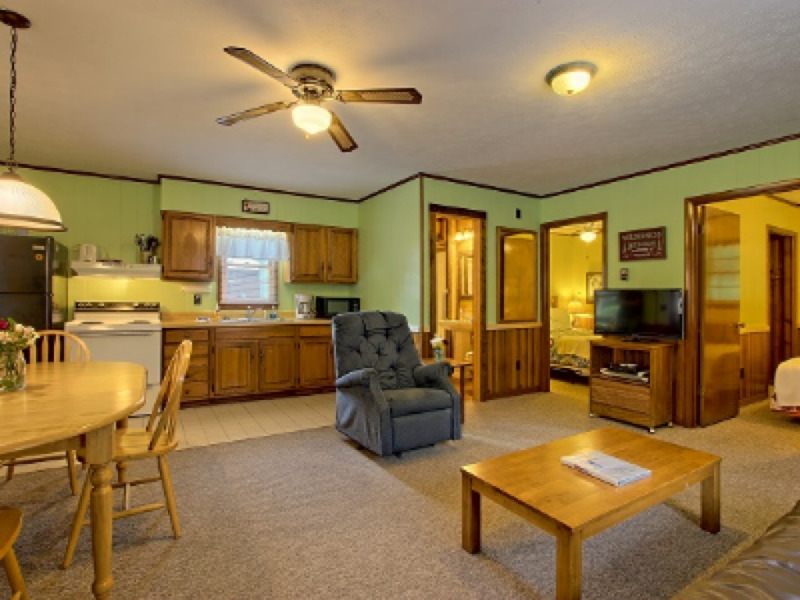 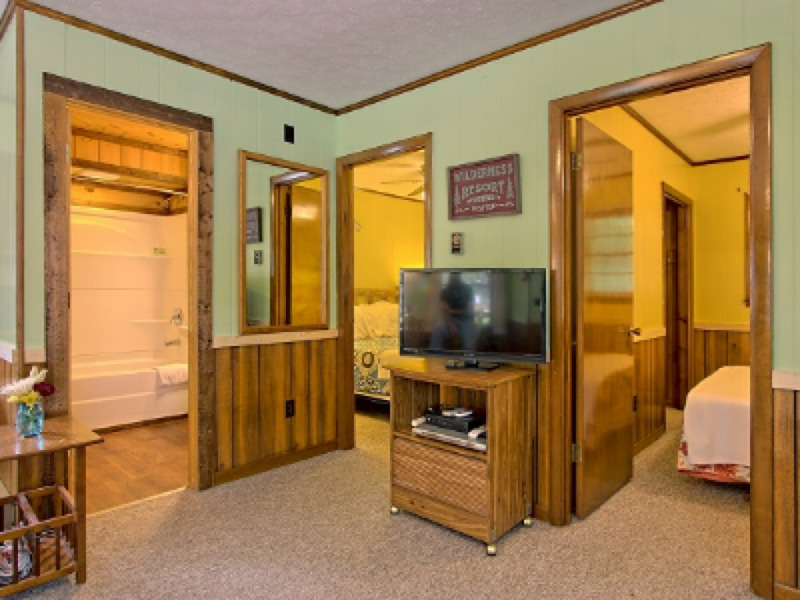 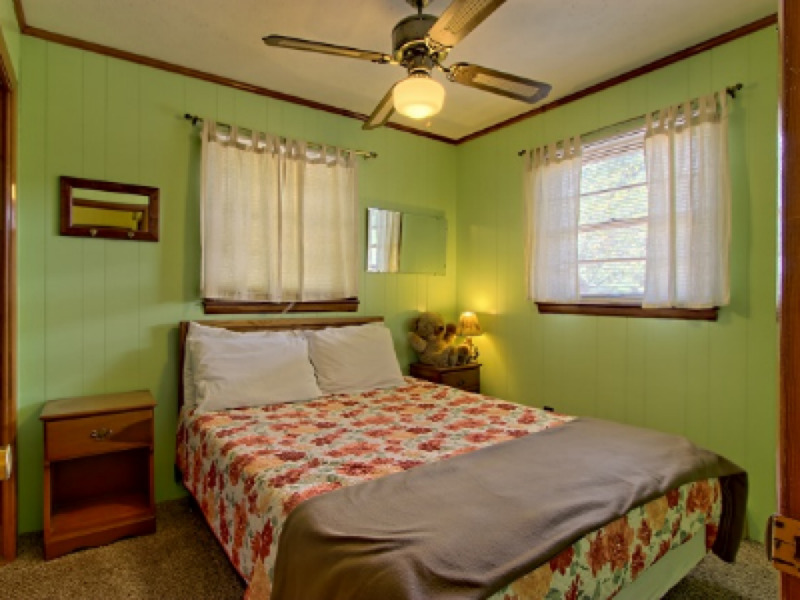 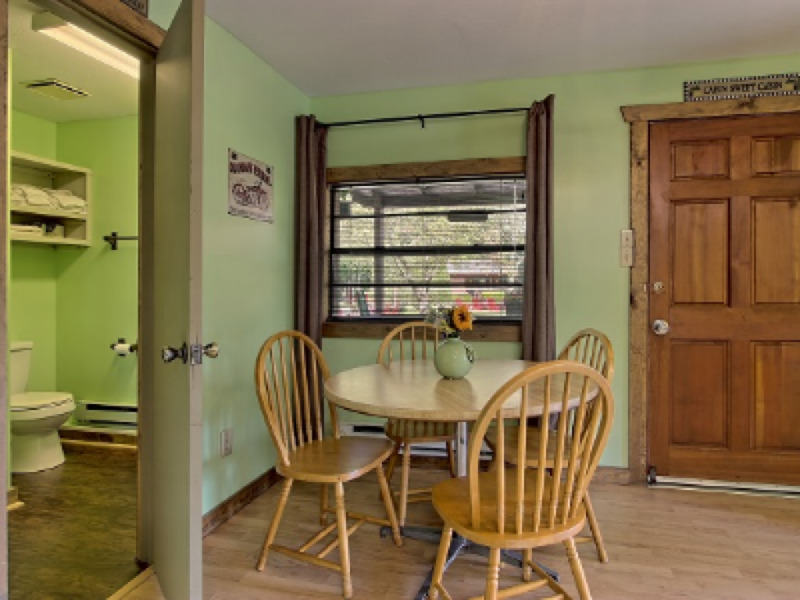 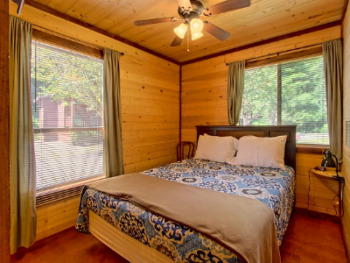 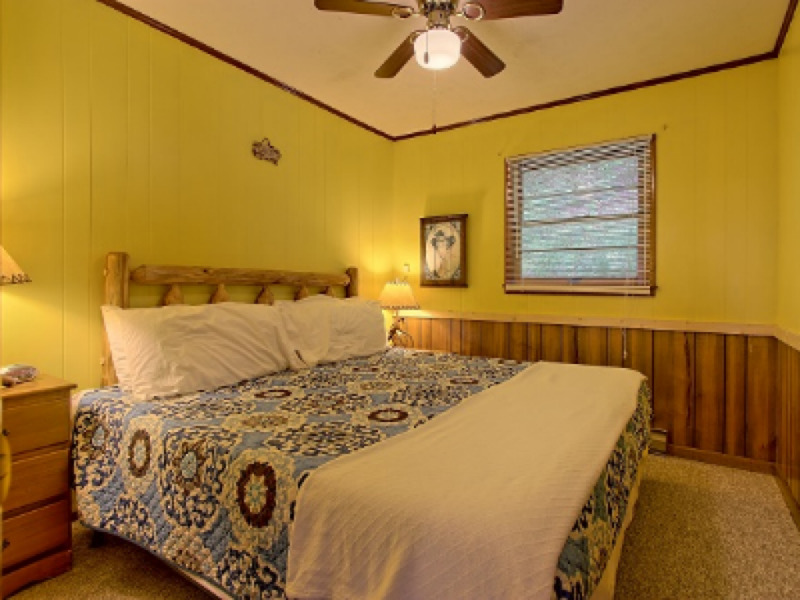 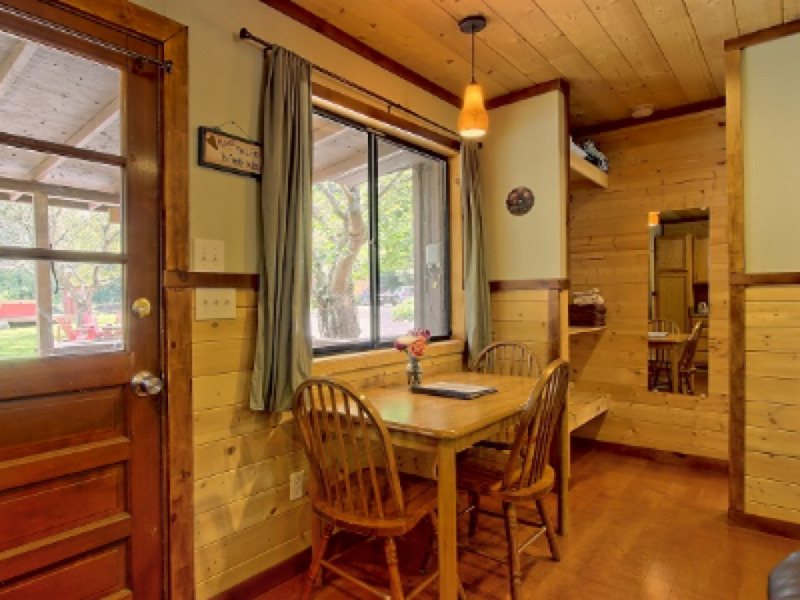 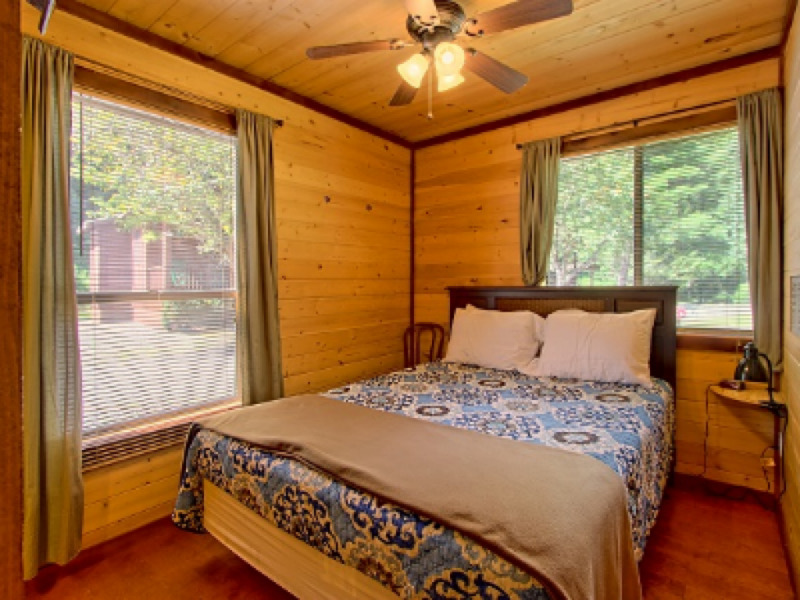 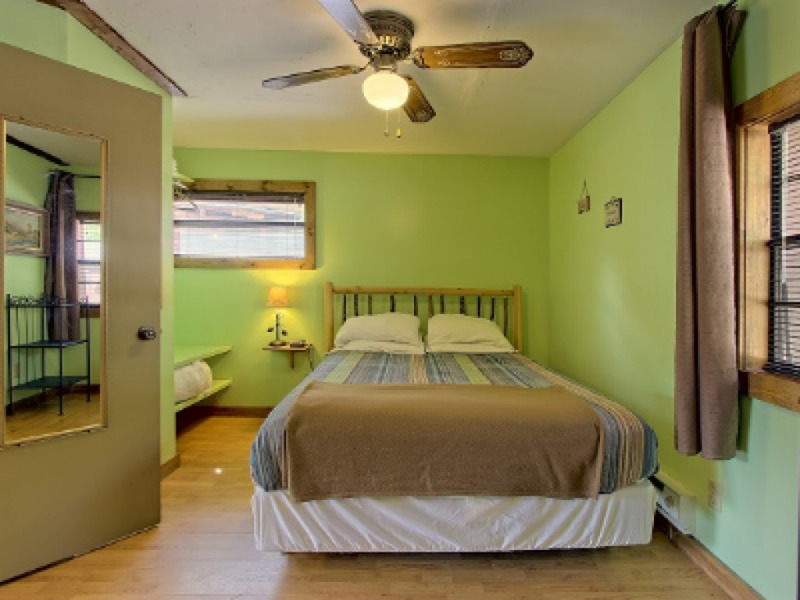 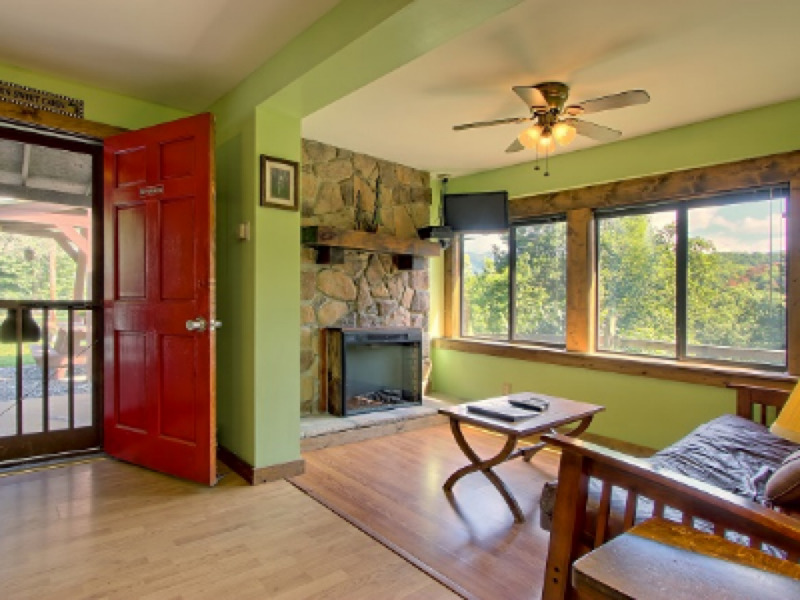 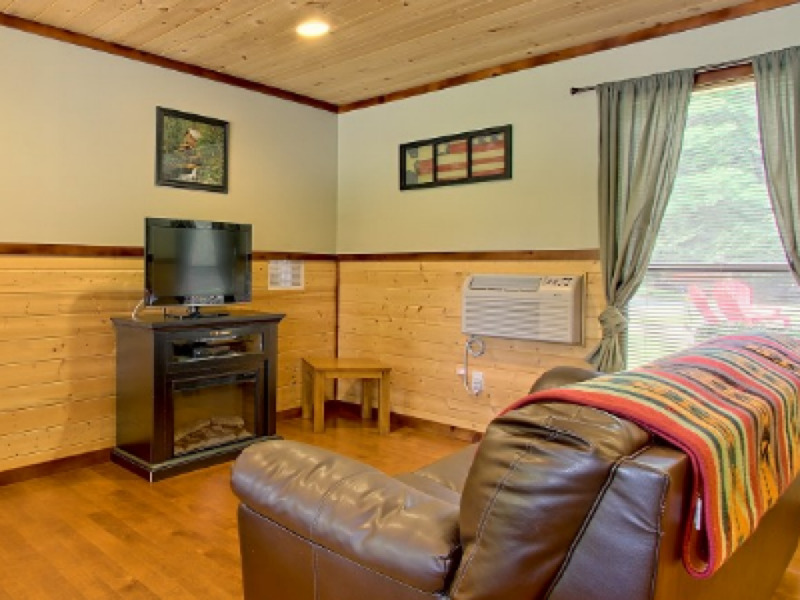 Your group can enjoy affordable private lodging in one of our 7 cabins. 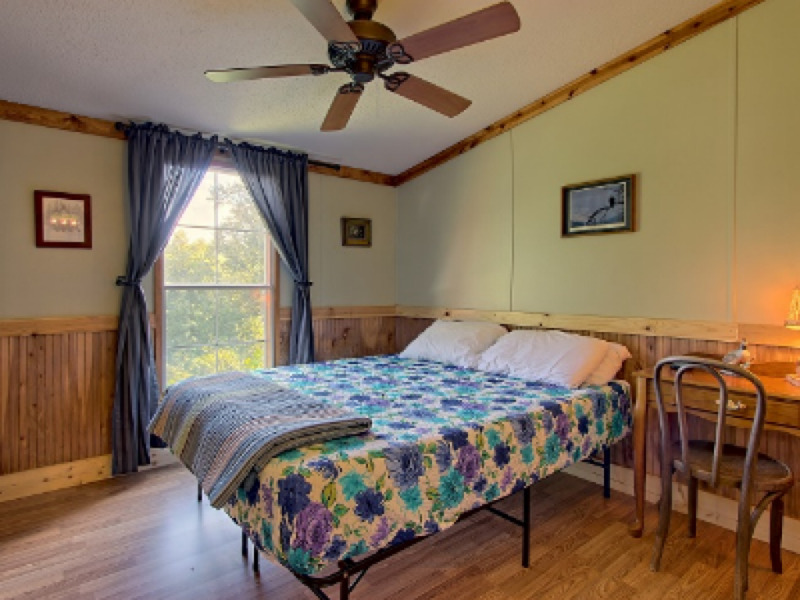 The Bear, Raccoon, Deer, and Moose cabins all have 2 bedrooms accommodating up to 6 guests each and the Fox and Opossum cabins have 1 bedroom accommodation up to 4 guests each. 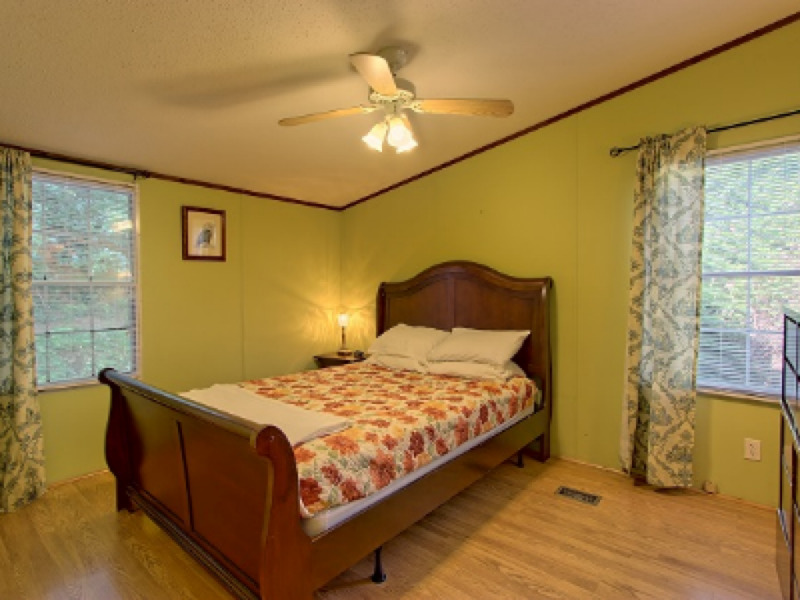 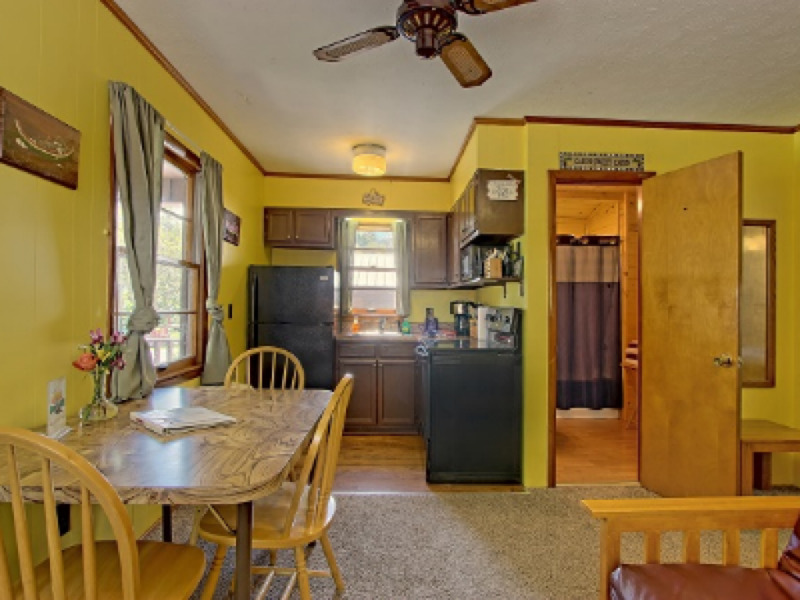 The Eagle has 5 bedrooms and accommodates up to 12 guests. 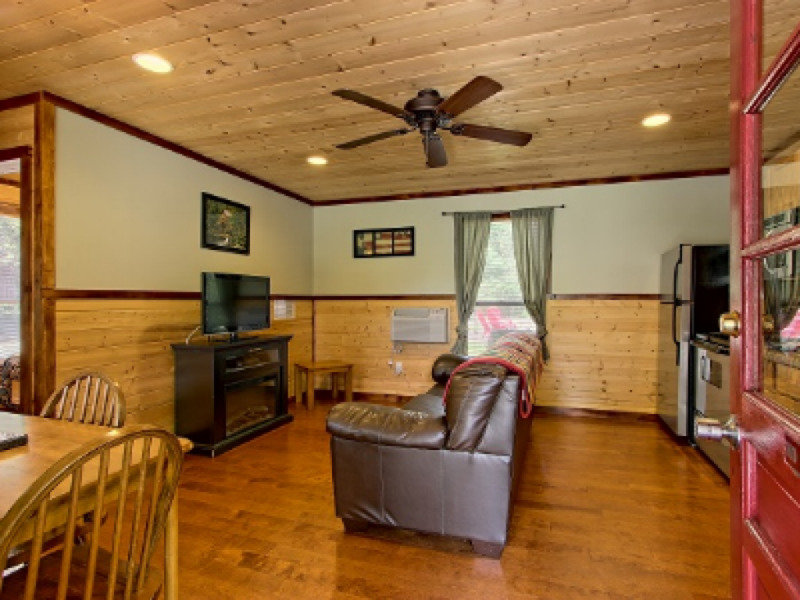 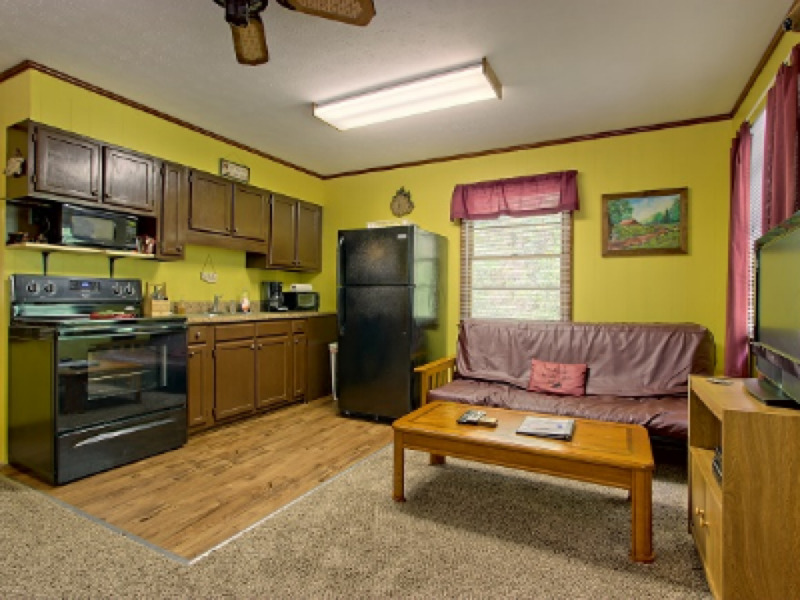 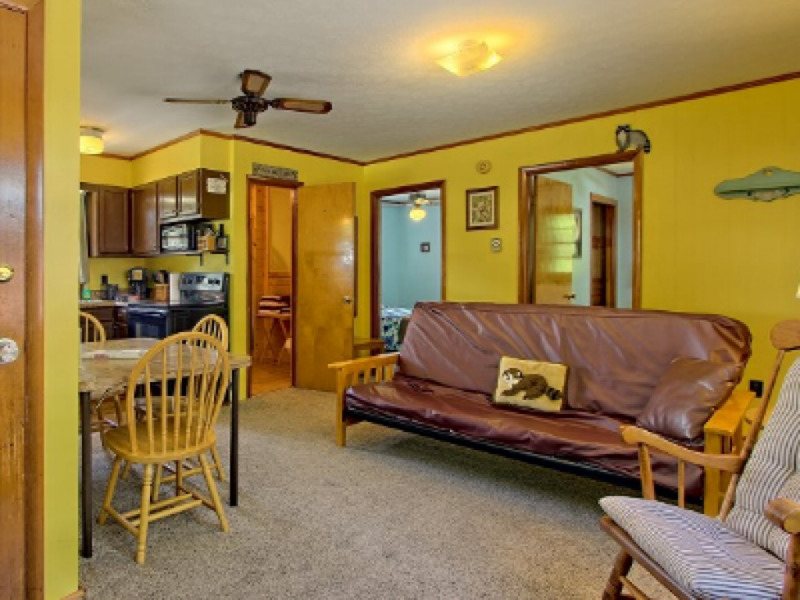 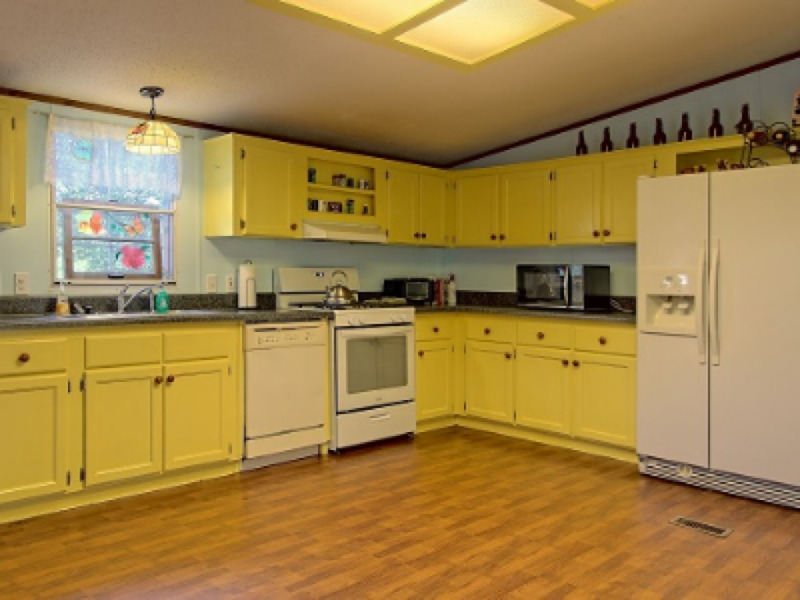 All of our rentals come fully stocked with amenities like linens, towels, Direct TV, wireless internet, covered patio, covered picnic table, charcoal bbq grill, fully stocked kitchens, cleaning supplies, all paper products, and all appliances to make you feel at home. 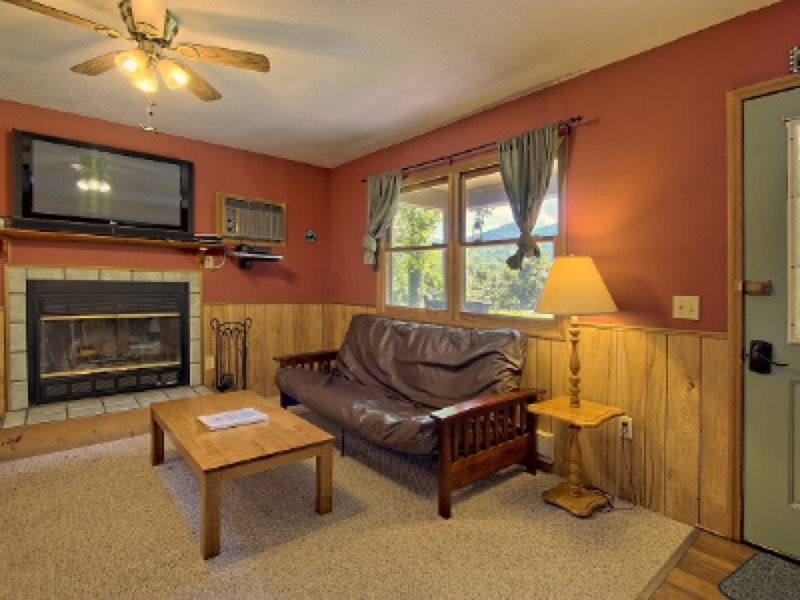 All guest’s need to bring are personal items and a great attitude to enjoy the mountain air. 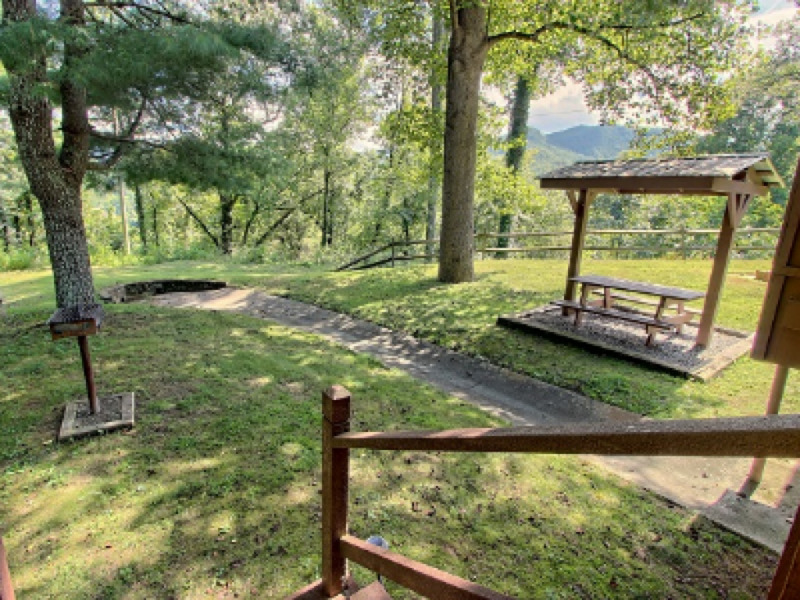 Onsite amenities include 2 relaxing hot-tubs, well-manicured landscaping, badminton, horse-shoes, and a huge fire pit for roasting marshmallows.